Nintendo 3DS family systems can communicate with other Nintendo 3DS family systems and the internet. All wireless communications can be deactivated using the wireless switch, and you can also restrict access using Parental Controls. Nintendo 3DS family systems can automatically search for and exchange game data with other powered on Nintendo 3DS family systems. You preset which data you exchange (if any) beforehand, and this data can then be used to play unique games or access extra content in StreetPass-enabled titles. Visit our StreetPass hub to find out more. 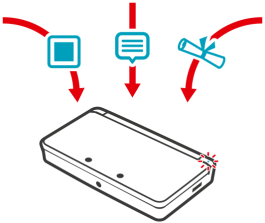 Nintendo 3DS family systems are full of surprises, including content delivered via SpotPass. SpotPass allows your Nintendo 3DS family system to receive notifications from Nintendo and its partners. Notifications can include promotional notices, such as alerts about sales or new software releases, while data can include free in-game items. Click here to find out more about SpotPass. Miiverse is a network service that allows players from around the world to discuss games, share experiences with typed and handwritten messages, and post screenshots of their gameplay for others to see. 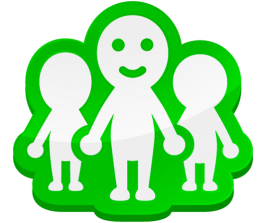 Click here to find out more about Miiverse. Nintendo 3DS family systems can be used to access the internet via the built-in Internet Browser. Click here to find out more about browsing the internet on Nintendo 3DS family systems. Click here to find out more about online features of Nintendo 3DS family systems.